Each state has laws affecting what happens to a body after death. For example, most states have unique rules about embalming, burial or cremation, scattering ashes, and how to get a death certificate. Here are some answers to common questions about post-death matters in New York. 6. Where can bodies be buried in New York? If you are in charge of wrapping up the deceased person’s affairs, you'll need multiple, official copies to carry out your job. You will need to submit a certified copy of the death certificate each time you claim property or benefits that belonged to the deceased person, including life insurance proceeds, Social Security benefits, payable-on-death accounts, veterans benefits, and many others. In New York, a funeral director must complete the death certificate and file it with the local registrar within 72 hours after the death. (New York Public Health Law § § 4140 and 4142.) The easiest way to get copies of a death certificate is to ask funeral director to order them for you at the time of the death. 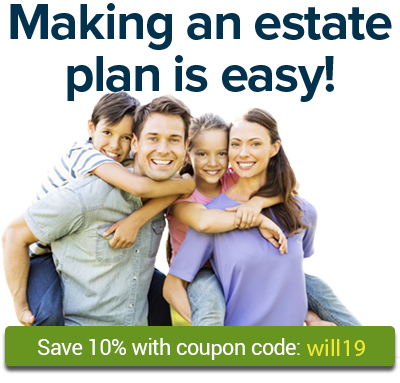 If you are the executor of the estate, you'll probably need at least ten certified copies. If you need to order copies of a death certificate later, go to the website of the New York State Department of Health. From the DOH website, you can download a mail-in order form or find a link to order death certificates online or by phone. To order certified copies of a death certificate, you must provide an acceptable form of identification, such as a government-issued photo ID. Each certified copy of a New York death certificate costs $30. Who can order a death certificate? a government agency that needs the record for an approved purpose. For more details, see New York Health Department Regulation 35.4. Embalming is a process in which blood is drained from the body and replaced with fluids that delay disintegration. Though embalming is still a fairly common procedure, it is rarely necessary, because refrigeration serves the same purpose. In New York, there are no state rules or regulations requiring embalming. Is a casket necessary for burial or cremation? A casket is often the single greatest expense incurred after a death. The cost of a casket can range from a simple $500 box to $20,000 or more for an elaborate design. Some people prefer to forgo a casket altogether. Burial. No law requires a casket for burial. However, you should check with the cemetery; it may have rules requiring a certain type of container. Cremation. No law requires a casket for cremation. On the contrary, federal law requires a funeral home or crematory to inform you that you may use an alternative container, and to make such containers available to you. An alternative container may be made of unfinished wood, pressed wood, fiberboard, or cardboard. Do I have to buy a casket from the funeral home? No. Federal law requires funeral homes to accept caskets that have been purchased from another source, such as an online retailer. You may also build your own casket, if you prefer. Where can bodies be buried in New York? Most bodies are buried in established cemeteries, but burial on private property may be possible in New York. (See the New York State Division of Cemeteries FAQ.) Before conducting a home burial, check with the town or county clerk and local health department for any rules you must follow. If you do bury a body on private land, you should draw a map of the property showing the burial ground and file it with the property deed so the location will be clear to others in the future. New York law also allows any individual to make a grant of land, by deed or at death, to be used as a family cemetery. The parcel may be as large as three acres and must not be located within 1,650 feet of a dwelling. For more information, see New York NPC Law § 1401(c) and contact your county clerk’s office. Where can we store or scatter ashes after cremation? In New York, there are no state laws controlling where you may keep or scatter ashes. Ashes may be stored in a crypt, niche, grave, or container at home. If you wish to scatter ashes, you have many options. Cremation renders ashes harmless, so there is no public health risk involved in scattering ashes. Use common sense and refrain from scattering ashes in places where they would be obvious to others. Scattering ashes in an established scattering garden. Many cemeteries provide gardens for scattering ashes. If you’re interested, ask the cemetery for more information. Scattering ashes on private land. You are allowed to scatter ashes on your own private property. If you want to scatter ashes on someone else’s private land, it’s wise to get permission from the landowner. Scattering ashes on public land. You may wish to check both city and county regulations and zoning rules before scattering ashes on local public land, such as in a city park. However, many people simply proceed without investigating the rules, letting their best judgment be their guide. Scattering ashes on federal land. Officially, you should request permission before scattering ashes on federal land. As with local or state land, however, you will probably encounter no resistance if you conduct the scattering ceremony quietly and keep the ashes well away from trails, roads, facilities, and waterways. You can find guidelines for scattering ashes on the websites for some national parks. For more information, begin your search at the website of the National Park Service. Scattering ashes at sea. The federal Clean Water Act requires that cremated remains be scattered at least three nautical miles from land. If the container will not easily decompose, you must dispose of it separately. The EPA does not permit scattering at beaches or in wading pools by the sea. Finally, you must notify the EPA within 30 days of scattering ashes at sea. The Clean Water Act also governs scattering in inland waters such as rivers or lakes. For inland water burial, you may be legally required to obtain a permit from the state agency that manages the waterway. For more information, including the contact information for the EPA representative in New York, see Burial of Human Remains at Sea on the EPA website. Scattering ashes by air. While there are no state laws on the matter, federal aviation laws prohibit dropping anything that might harm people or property. The U.S. government does not consider cremains to be hazardous material, so all should be well so long as you remove the ashes from their container before scattering. To learn about the federal Funeral Rule, which protects consumers in all states, visit the website of the Federal Trade Commission. For more information about funeral laws in New York, see Making Funeral Arrangements in New York. To find out more about funerals and other final arrangements, see the Getting Your Affairs in Order section of Nolo.com.